Contrary to what some may think buying a used car doesn’t have to be a process that is stressful, complicated and time-consuming. 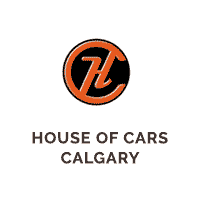 With House of Cars Calgary the process is made to be as straightforward as possible. Our priority is ensuring that our customers get a car that makes them happy, performs well for them, and keeps themselves and their passengers safe. Here is why we are the best used car dealers Medicine Hat has to offer. Across our eight locations we have a huge range of vehicles whether you’re looking for cars, SUVs, trucks, coupes or vans. In fact we have over 400+ high-quality vehicles that are all CARPROOF. This gives you all of the relevant events that have affected your new vehicle throughout its life. For extra security we thoroughly inspect all of our vehicles with a mechanical body inspection. To put your mind at ease even further our vehicles have the option for warranty, and given that they are all young vehicles you can be confident that they are in excellent condition. Whatever the make of car you’re looking for we are sure to have it in stock. We have over 25 makes to choose from and each is maintained to an excellent standard. A dealership can have the widest range of vehicles available but without the appropriate financing options they can be un-affordable and essentially useless to you. This is why we take financing very seriously and make every attempt to have our service be as clear and flexible as possible. We offer a simple online tool where you can get an accurate estimation as to the financing options that we have available and you are also free to discuss this with any of our helpful representatives who will walk you through the process. Regardless of your credit score you will be able to find a vehicle that is perfect for you at an affordable price. We take our level of service incredibly seriously. Each and every staff member at our eight locations is professionally trained and joined the team because of their passion for quality service and automotive products. You will find their approach to be helpful throughout the entire process and you will discover just how personable and compassionate they are! This level of service – combined with our inventory, flexible financing and the quality of our vehicles – means that we are consistently win numerous awards. For instance, we have received the Top Choice Award for the past three years as Canada’s Best Used Car Dealership. We are also proud to play an active role in the community. You can be confident that as your friends and neighbors we want to get the best possible result for you. You may have seen us at local events over the years and we always enjoy saying hi to our customers! We also want to encourage a community feel via our generous referral program so even if you’re not looking for a quality used vehicle yourself you can benefit by referring a friend or family member. If you’d like to get in touch with us today, feel free to choose the method that you prefer the most. Our helpful representatives are available via telephone or you can feel free to fill out our simple online form.